7-Seat Comfort Package – Second-row with climate control and extra outlets plus a third row of luxury leather flat-folding seats. The third-row features map lights and accessory power outlet. HSE Package – A package full of incredible upgrades including voice-activated HDD navigation, rearview camera, Bluetooth hands-free phone capability, rear park distance control, Sirius satellite radio, and more! HSE Luxury Package – The ultimate Land Rover experience with a 825-watt Harmon Kardon audio system, heated front and rear seats, premium leather, heated windshield washer, and more! Other features include power moonroof, 19-inch 7-spoke alloy wheels, genuine wood console, genuine wood dashboard and door panel inserts, and privacy glass. Stop in to Land Rover Colorado Springs today to test drive this fun vehicle. 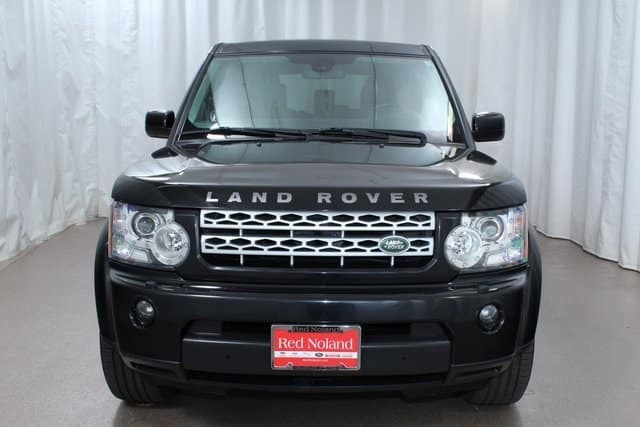 This gently pre-owned luxury SUV will allow you to experience the luxury of Land Rover at an amazing price!